An important key to remember is to be simple. Using small bands to accent instead of chunky pieces. These simple touches will not only stand out but also create symmetry to your look. 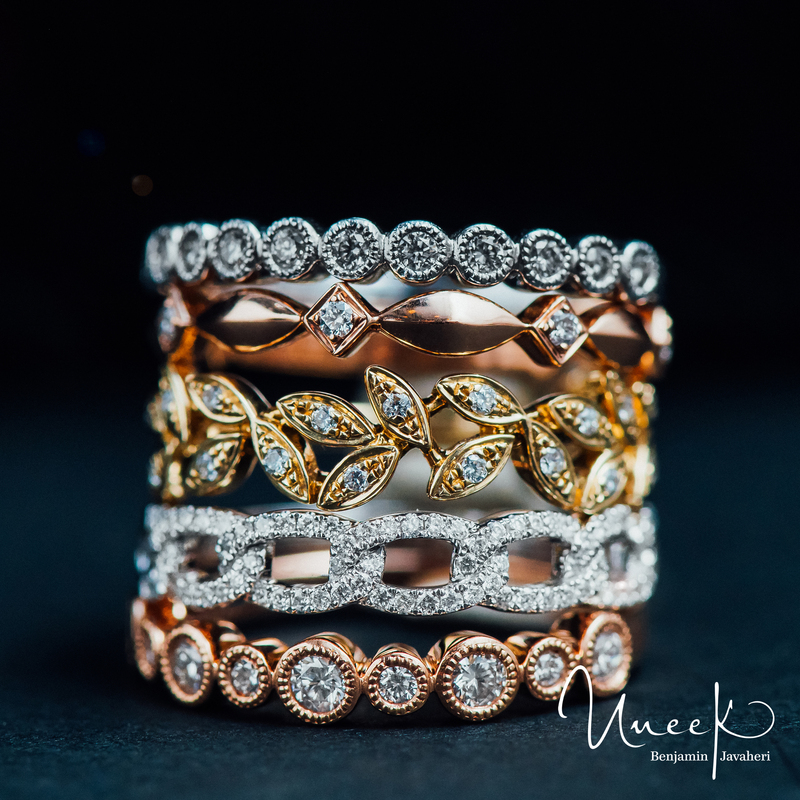 To ensure the complete chic stack, be sure they keep it symmetrical and not to clutter all your rings on one finger…share the love! You’ve always heard not to wear gold and silver jewelry but we are here to tell you that…they are all wrong! Mixing metals can create a cohesive glow that also looks great with your summer tan or favorite fall-colored clothing. More importantly, who doesn’t love a fashionista who is willing to take some risks from time to time? Don’t be afraid to experiment with different designs and shapes. Bold diamond bands paired with fun geometric designs complete a playful, yet sophisticated look. 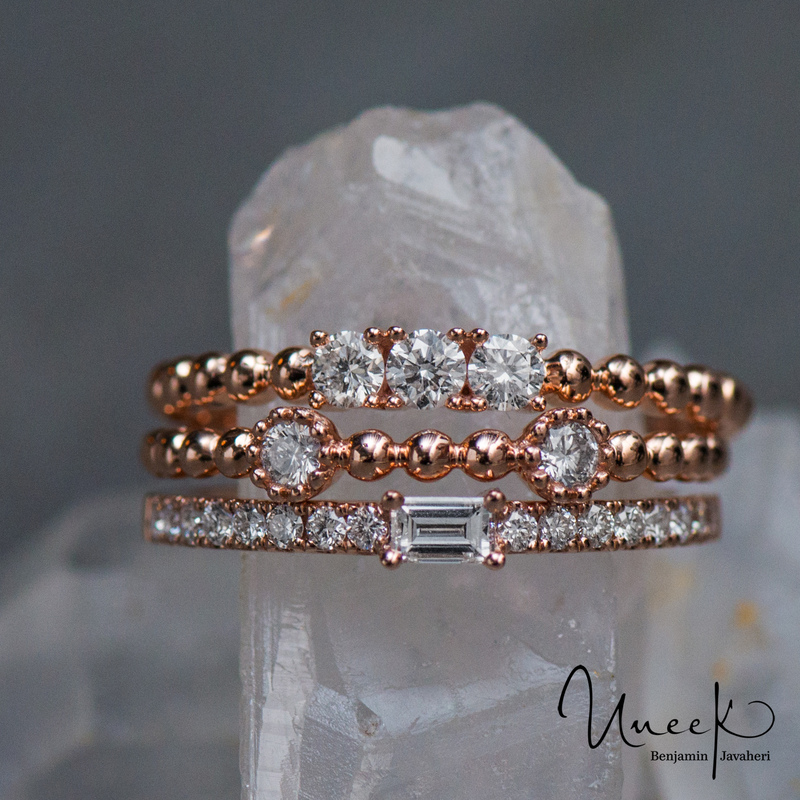 For the ethereal look, pair diamond bands with our dainty laurel bands [pictured below]. Some of us are a little more conservative while some of us like to explore styles and fashions more often. No matter the case, it is important to stay true to your personality. 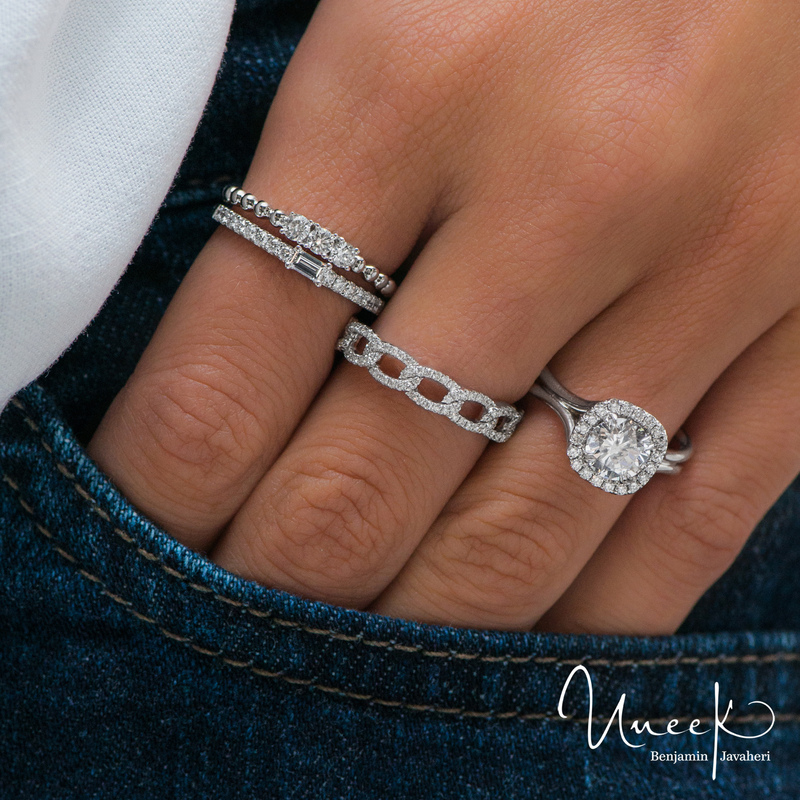 Maybe one to two rings are all you need but perhaps another day you’re feeling that bohemian vibe where you want to pile on every finger. Don’t worry, the rings are here to support whichever look you’re feeling. 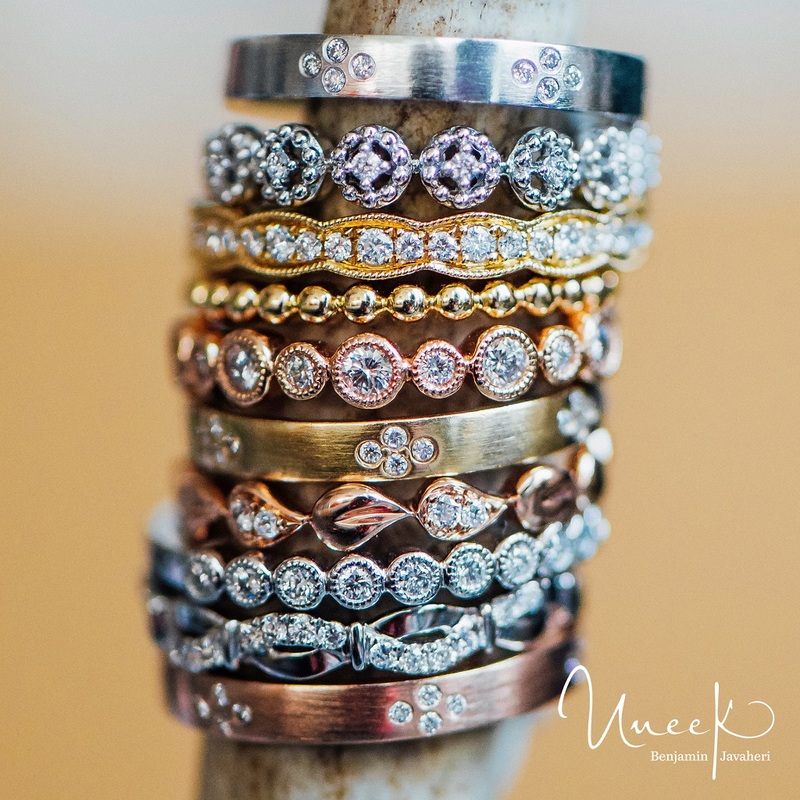 Are you ready to rock your own stacking style? Contact a certified AGS jeweler near you. 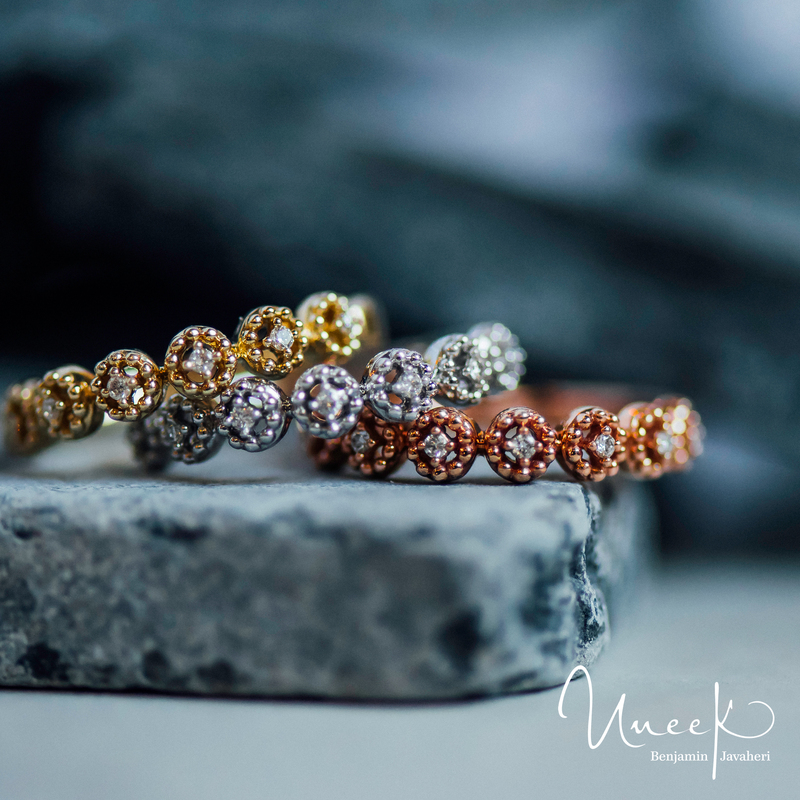 Established in 1996, Uneek Fine Jewelry has emerged as an unparalleled standard in fine diamond jewelry. The reasons will be evident once you see and experience the extraordinary detail, intricate workmanship and breathtaking designs in their extensive bridal, color and fashion collections. ← Tips from Jewelers Mutual: What Does Jewelers Mutual Cover?